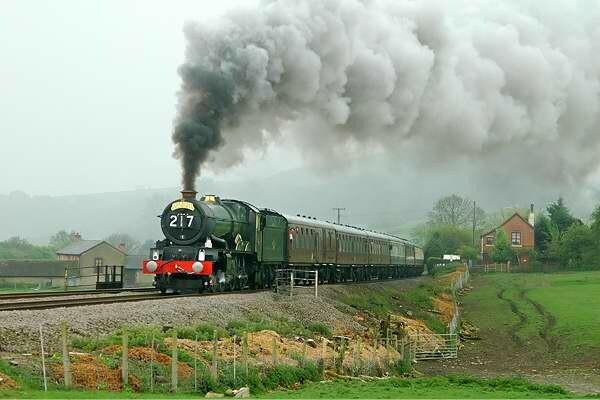 © Geoff’s Rail Diaries 2011 A good few years ago, steam was common on the Hereford - Shrewsbury line, in the shape of the "Welsh Marches Express" (later "Pullman"). 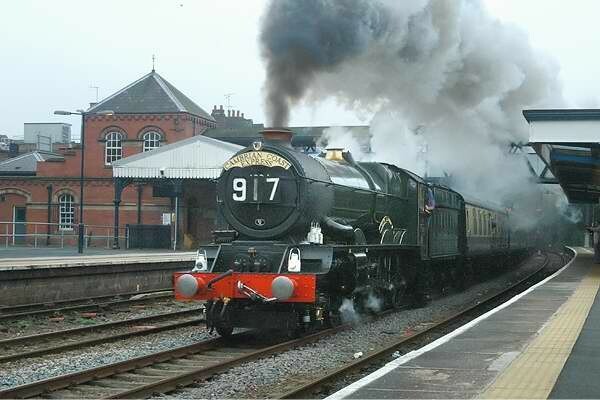 A regular performer on those trains was 6000 "King George V". 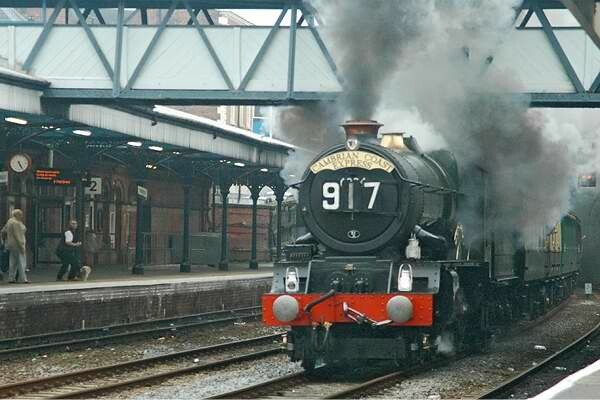 6000 has retired from such activities, and resides in Swindon; in the meantime 6024 "King Edward I" sees regular main line trips. Today no. 6024 would be visiting Shropshire, heading up the "North and West" to Shrewsbury, then after a break, heading east along the Shrewsbury - Wolverhampton line. The day was dull and intermittently rainy - I nearly turned back shortly after leaving home, and as I approached Craven Arms, I'd more-or-less decided I'd just find somewhere to watch it from the car. But it stopped - so here are the results. 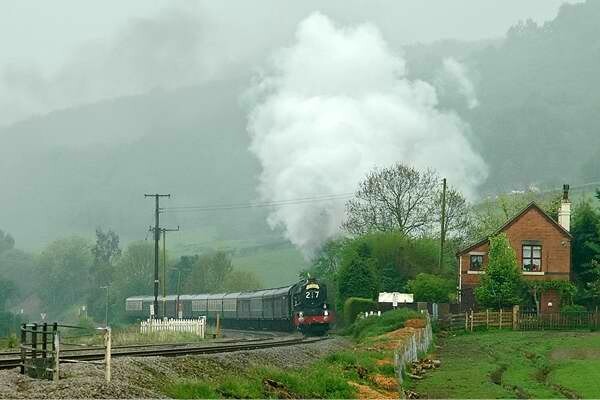 It was nearly 25 minutes late as it passed Stokesay, and the rain was just starting again - raindrops can be heard hitting the video camera in the first video clip... For the return trip I went to Wellington, where the through roads enable a decent view of the train in the reasonably-photogenic station. It was pretty crowded when I got there - my first choice would have been the other platform, but in retrospect I made the right choice, even if I did have to squat almost on the ground... The run past Stokesay had been slow and steady, barely 20mph - I learned later there's a PW restriction a little to the south. The run through Wellington, in the low 50s, was truly dramatic - the reactions of the ordinary passengers were worth watching (see the lady jumping up and down, on the extreme right of the video clip...). It was early too - I barely had time to switch on the video camera. 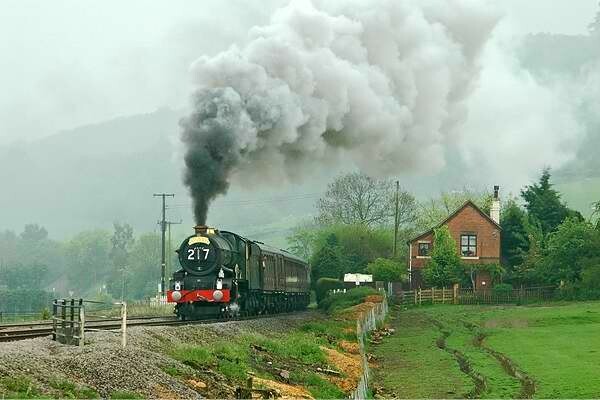 The clip should have been a little longer, though I think I got the best bit... Video: 6024 works the heavy train slowly northwards at Stokesay, then, later in the day, bursts dramatically upon the scene at Wellington. 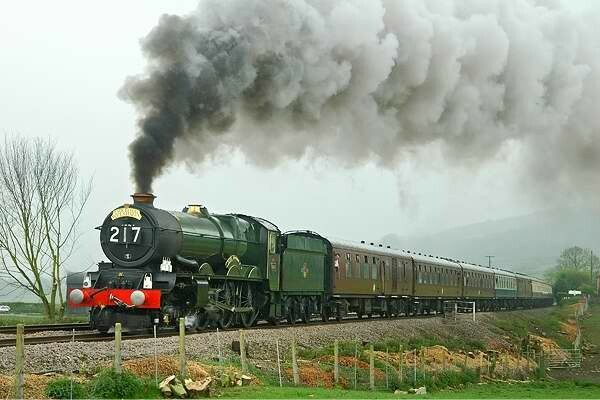 Main line steam at its best!